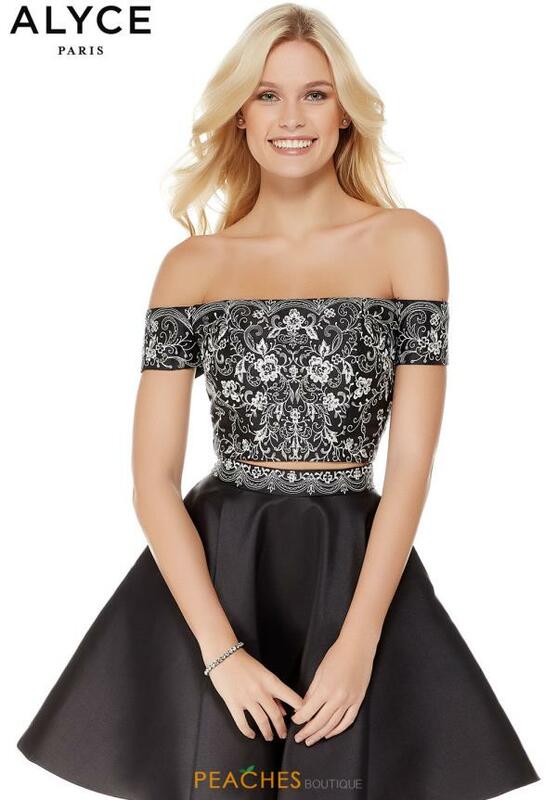 Look like you just stepped off of the runway in this trendy Alyce Paris two-piece dress 3776. The crop top showcases a sleek straight off-the-shoulder neckline with darling cap sleeves, as an eye-catching embroidery whimsically trails along the entirety of the bodice. The A-line skirt flares out from the fitted waistband. Check out more gowns at Peaches Boutique in Chicago.